Cincom VisualWorks is well known for its ability to create seamlessly portable applications. What it’s less well known for is its ability to integrate with a host platform. On Windows, developers can embed arbitrary ActiveX components into their applications – but what about the Mac? Can a Smalltalk application look and feel like a native OS X app? Leverage the comprehensive knowledge base of Harmony Navigator to find a sound harmonic foundation for your song. Palette “surfing” is fun and always gives rise to fresh ideas and new insights. This way you easily and intuitively find new approaches to your song. Even experienced professionals do benefit from this. 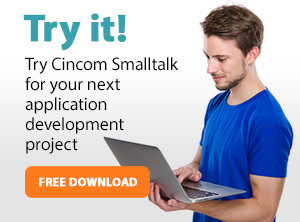 Whether you want to build a completely portable application, or one that ties into the host platform, Smalltalk is the solution you need. Take the legendary productivity benefits of Smalltalk, and apply them to any problem you have – whether it’s a standard business issue, or something more exotic, like finding the right harmonics.